The process of bonding heatsinks to printed circuit boards to aid in the removal of heat is widely used within the electronics industry. Aluminium is the most common metal used for heatsinks and is usally fabricated then anodized to help prevent corrosion. 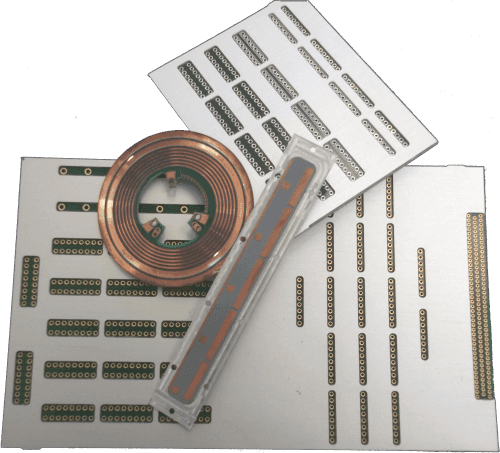 The heatsink can be bonded to the PCB using various different adhesives, no-flow pre-pregs, printable epoxys, thermally conductive pre-pregs and adhesive tapes. Our experience allows us to meet tight tolerances while minimizing costs.